Top with your favorite chopped nuts, if desired. Store loosely covered up to 1 week. This Southern classic may be known by many names, but it is always addictively delicious. Triple Layer Cracker Toffee Bars prove that saltine crackers are good for so much more than a bowl of soup. And it makes the perfect edible gift. 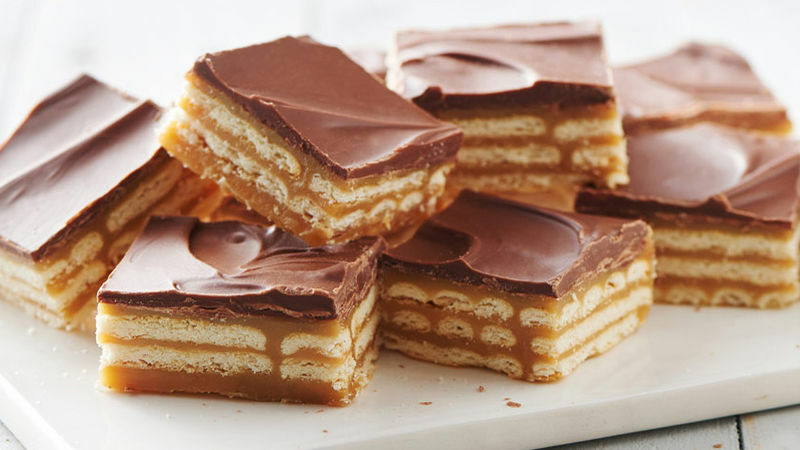 Toffee bars are a great introduction to candy making with an easy caramel layer. Using sweetened condensed milk for the caramel base makes it doable for any cooking level. The most important thing to remember is constant stirring to avoid burning. To melt the chocolate chips, it is best to use a glass bowl to prevent scorching. If you like the sweet and salty combo you will love this recipe, and if you are looking for more twists on classic bars as well as some modern creations check out these sweet treats.